Shoot captain Mark Coleman operates with the kind of quiet intensity lost on those unable to temper their emotions when an audience is present. Behind the matured boy-next-door features a shrewd mind operates, one aware of the issues affecting his environment without a hint of anxiety. 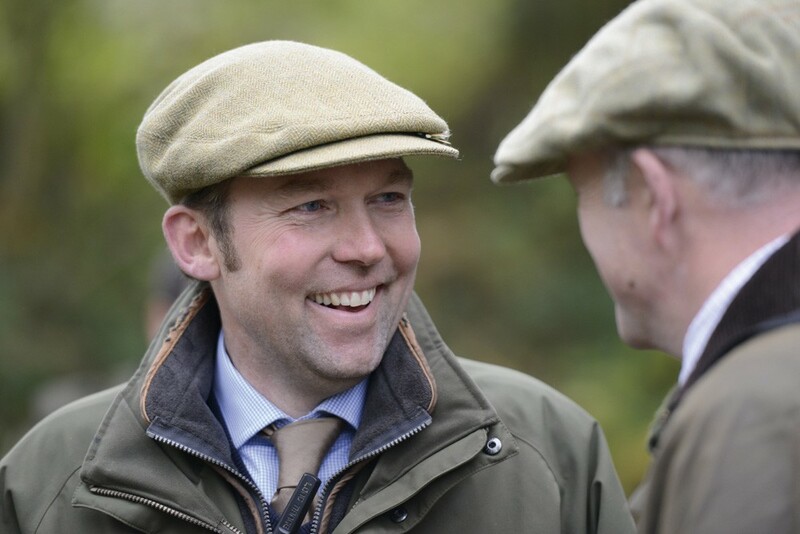 The 44-year-old Gloucesterian is slightly thinner than he was the last time we met at his other shoot, Glanusk, back in the winter of 2010, but while he may look a little weathered – his season is now 100 shoot days long – the healthy glow and enthusiasm for his position has not dimmed at all. The story of how the head of Coleman Sporting obtained the shooting rights of Stoke Edith’s 5,000 acres will be a familiar one to many in the industry: a shoot captain hears of an opportunity to take on the rights of a renowned shoot; visits and immediately realises the potential in its hills and wooded valleys; experiences the usual turbulence during negotiations; secures the rights and in the process has that “no going back now” moment as he doubles his responsibilities at the stroke of a pen. 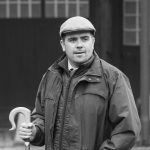 Shoot captain Mark Coleman’s blueprint of shoot management runs throughout his growing portfolio. Despite being an established name in shooting circles, Stoke Edith felt the full force of the new tenant’s “clean broom” when Mark and his team arrived in 2012. Glanusk keepers Leon Gladwin, Kyle Burden and apprentices Brad and Tom Stokes are now delivering those changes, especially on the good shooting ground overlooked in the past. 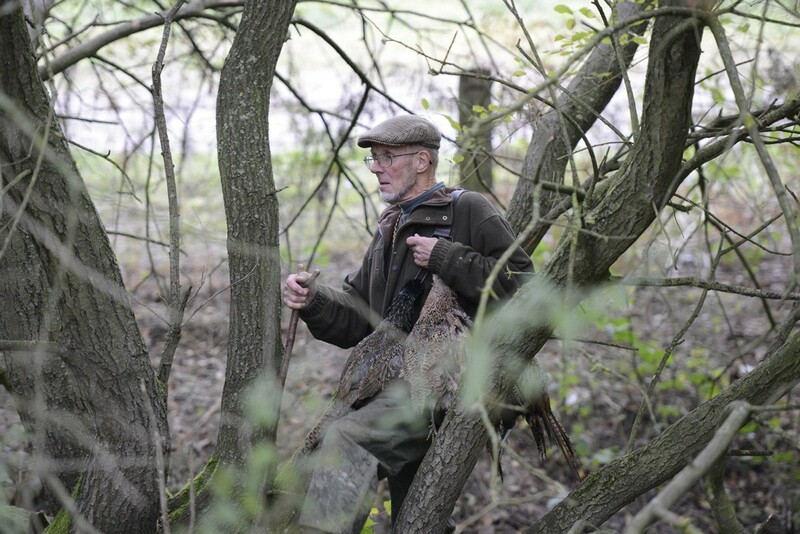 Picker-up David Coode seeks out felled pheasants between drives. “I wanted to put my own mark on Stoke Edith so needed other sets of fresh eyes I knew I could trust. I’ve got to listen to my keepers. They are the ones who are on the ground all the year round,” said Mark, who meets with Leon, Kyle and the Stokes brothers before every shoot day with information shared about everything from the forthcoming team’s favourite drive to their preferred tipple at elevenses. It is easy to get lost while winding around the stone tracks in the vast wooded areas of Stoke Edith, but judging by the number of pheasants on the ground – bazanties, bazanty-crosses and Japanese greens from Mark’s new game farm mostly – the team hasn’t wasted its time in broadening the shoot’s frontiers and, more importantly, setting out its standards. Gun Casper Tiarks was just one of a number of colourful characters present. Anyone who has visited Glanusk recently will know about the carefully honed blueprint employed there to take the commercialism out of commercial shooting: it’s “Mark” never “Mr Coleman”; shooting is a social occasion and not an event where guns should be in competition or hoping to beat a personal best; and shooting isn’t cheap, so treat guns as you would want to be treated. 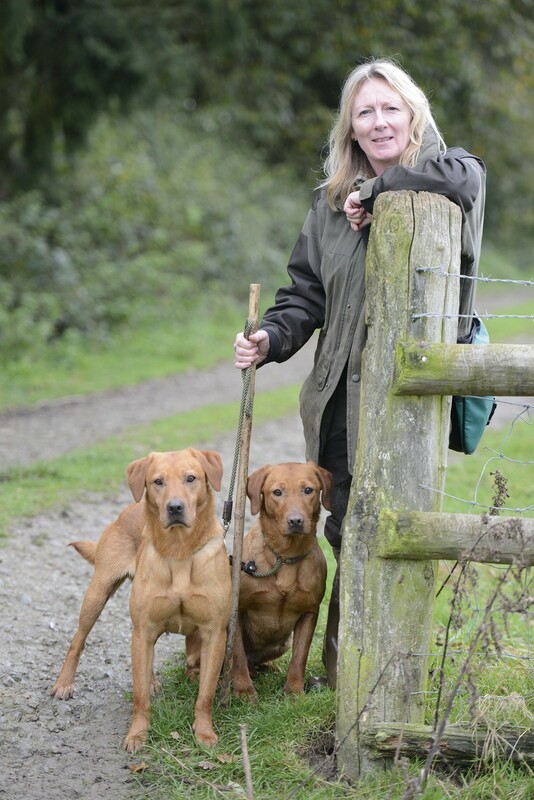 Picker-up Jo Bicknell and her loyal team. To illustrate this self-confessed workaholic’s personal approach there was an incident involving the son of one of the guns who, thinking it improper that he should be with his father given that he wasn’t shooting, mooched outside while everyone else warmed by the fire. Mark, having none of it, quietly called the son inside and within a moment he was relaxing in the centre of conversation. It was a short drive from The Greenman in nearby Fownhope to the estate, found along the A438 between Hereford and Ledbury. I hadn’t seen our host for almost three years but he was instantly recognisable when he ghosted out from the entrance to Stoke Edith House, the old rectory, to which the guns – a roving syndicate – gradually drifted towards. 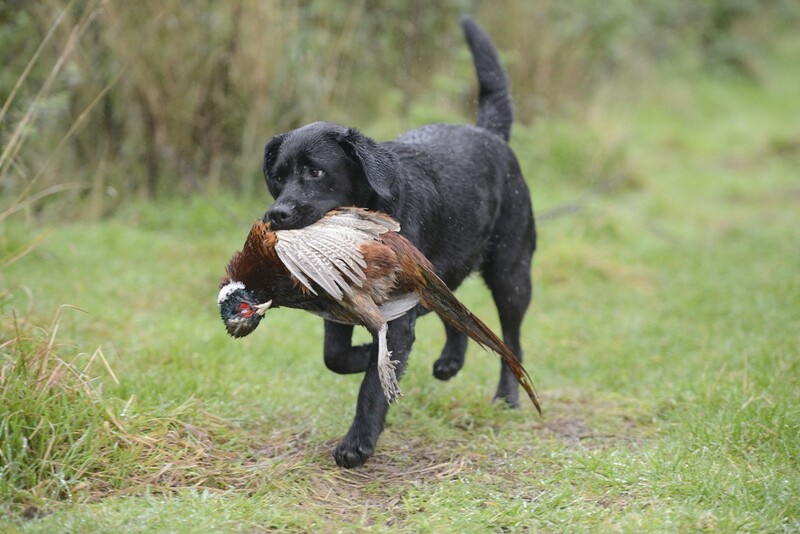 Weather conditions made things tough for all participants on this shoot day, from beaters and keepers to guns and gundogs. There was little wind or noise of any description for that matter on the first drive, Bella’s Point, a sweeping hillside topped and tailed with evergreens. 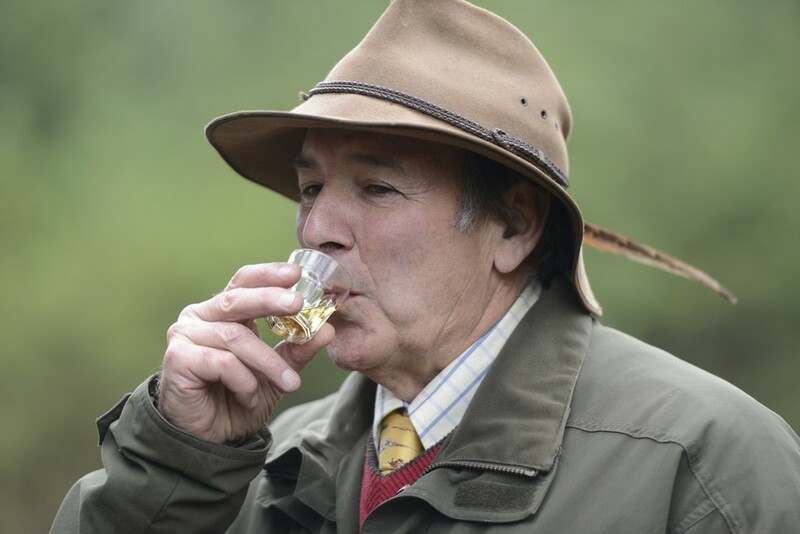 Mark prefers the beaters mute as they go, save for their occasional tap and whistle. So thin and fresh was the air that the first gunshot, taken at a Japanese green curling over a lone sycamore 50 yards out from the line, echoed like an expelled cannonball. It proved an effective curtain raiser. Guns’ limbs were stretched and the do-I-don’t-I birds tested their trigger discipline. Mark, Leon and his team were like paddling swans throughout. The Punch Bowl is one of Stoke Edith’s most famous drives and provided an astounding finale to a solid day’s shooting. I ask Mark how easy it is to get out of shoot day mode when the sun goes down. Although we would only take in one of those drives – The Punch Bowl was an astounding finale – there was a nice mix across the 200-bird four-drive day. The snap-shooting along the new and narrow Hamlet’s Dingle and the bold, provocative high ones on Brith Road were illustrations of how the new shoot is coming to life. Mark is under no illusions of what the name Stoke Edith means to many within the shooting circles but won’t be held back by sentimentality. Guns retire to the dining room for lunch. The guns present on this day had varying relationships with Stoke Edith. Some had never been, while one last visited almost 20 years ago. They seemed at ease with their host’s valet-esque approach to gun-management, where facial expressions and tone are read carefully before the formulation of a question, suggestion or hint is even entertained. “The same rules apply whichever shoot you are on. You discover things specific to different shoots as you go. You have got to encourage people to come and when you double your business like we have you have to make sure they go home happy. You can’t please everyone, and that’s the first thing any shoot captain has to learn. Stoke Edith was once the principal manor of the Royalist cavalier Sir Henry Lingen. His widow, Alice Pye of the Mynnd, sold the manor to ironmaster Thomas Foley in 1670, who later settled it to his second son, Paul. After obtaining a licence from James II, Paul, who later became speaker of the House of Commons, emparked 500 acres of surrounding land and oversaw the construction of a mansion built in the William & Mary style to replace Lingen’s half-timbered Elizabethan manor. Stoke Edith House, the former rectory, is easily found from the A438. Architects and designers including George London, William Nesfield, John Nash and Humphry Repton all left their mark on the estate, with Repton’s planting schemes forming the foundation of many of the drives sportsmen enjoy today. Stoke Edith Hanging (1710-1720), an embroidered canvas of wool and silk showing the grandeur of the house and its gardens, currently hangs in the V&A Museum in London. The house was partially destroyed by fire in the 1920s, those wings unaffected left to be consumed by nature. 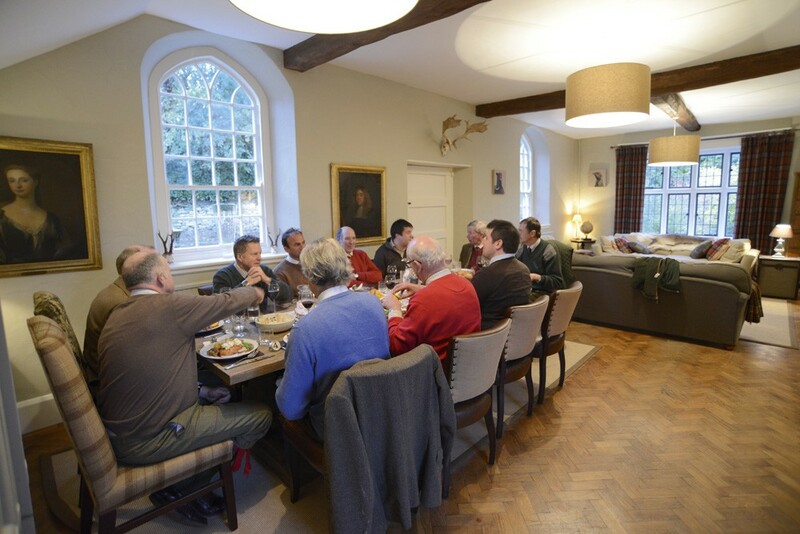 The current Stoke Edith House, the former rectory, is now the home of the Foley family, its long dining room also the meeting place for guns and their guests at the beginning and end of shoot day. 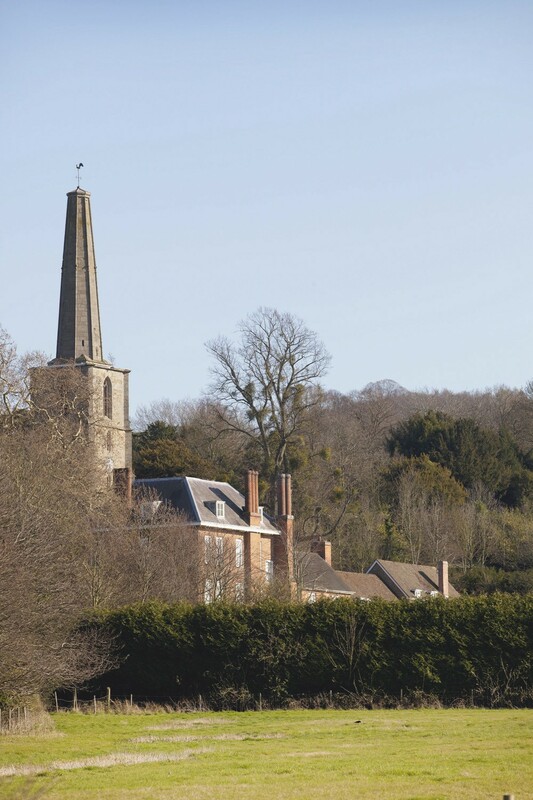 The church tower opposite is 60 yards high, and often provides a very useful comparison when discussing the height of birds on the shoot. 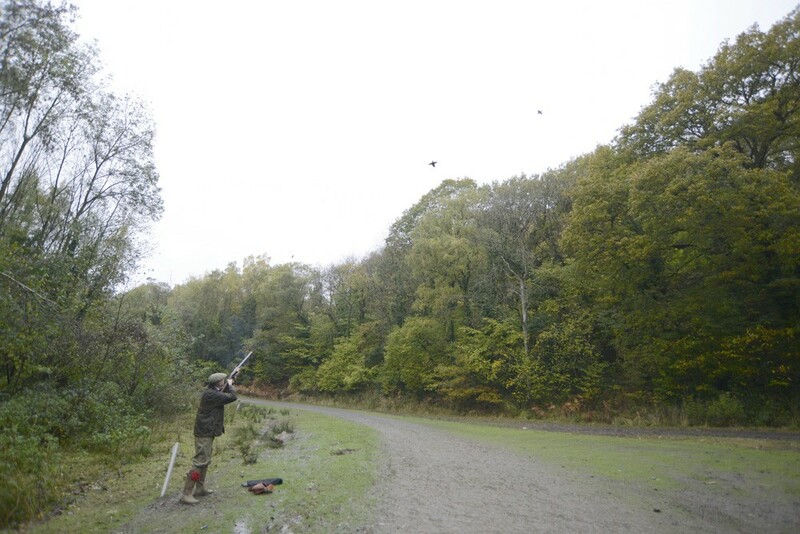 For more information about shooting opportunities at Stoke Edith visit: markcoleman-sporting.co.uk or tel. 01531 636886.